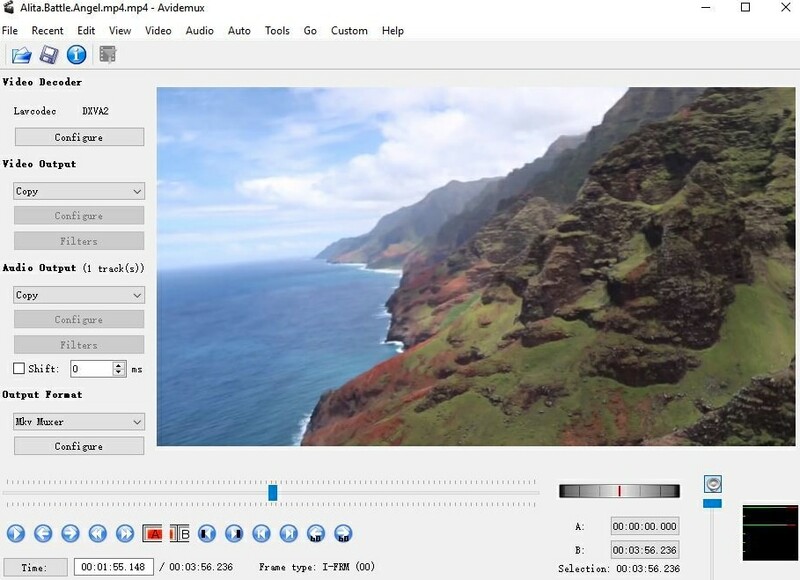 The best software to easily trim MP4 video in a flash. It is known that all-purpose video editing software have been used for editing, cutting and trimming the videos, but the single purpose software performs particular tasks in an efficient and accurate manner to trim/cut MP4. Though, there are various video editing functions and their respective tools, the current article highlights the features of MP4 video trimmers. If you want to have an online solution, Filmora video trimmer is a free online tool that can help you trim video instantly. You can upload your video from computer and video link with drag-and-drop. It is easy to use with the slider or just input specific start and end times for precise trim. It also supports various importing and exporting video format, including .mp4, .mov, .wemb, .mpeg, .flv. More importantly, the exported video is free of watermark. It is definitely worth a try! Avidemux is an amazing video editor designed and launched for trimming, encoding and filtering the tasks. It is a free MP4 cutter. The tasks are usually automated and based on job queue, efficient scripting capabilities and projects. This video trimming software offers a range of options to cut and filter the video clip in a convenient manner. Furthermore, it allows the users trim the video files of format like MP4, DivX, MPG, FLV, MOV and many more. With this free MP4 cutter, trimming MP4 video is just a piece of cake. Having a clear toolbar along with all necessary buttons on it. The performance is not very satisfactory. VirtualDub is one of the most common tool to free trim mp4 that enables the users to eliminate the particular segments from a video and save the rest. It does not include the attribute of recompressing. The video is not balanced to the windows on playback. 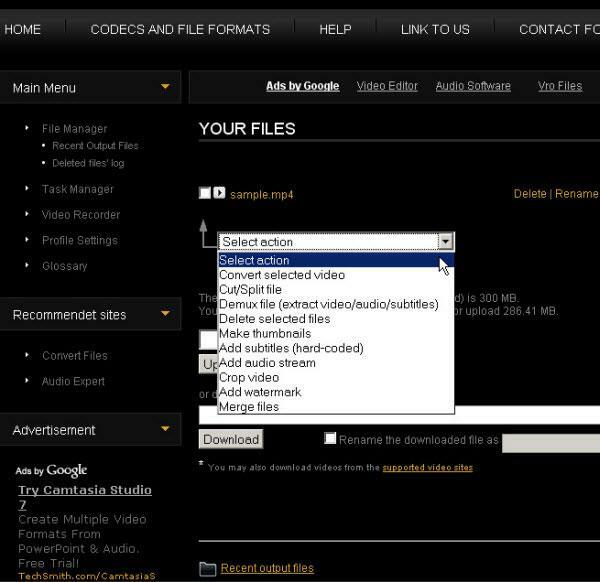 Offers a variety of options to edit and trim the MP4 video. Not very easy to use. Video Toolbox is a online video editor that enables you to easily do different video editing task. It supports multiple video formats along with providing the high quality output format. With it, you can cut or trim the MP4 video files in addition together with adding a variety of effects in the video. Restricts your file sizes to 600MB. 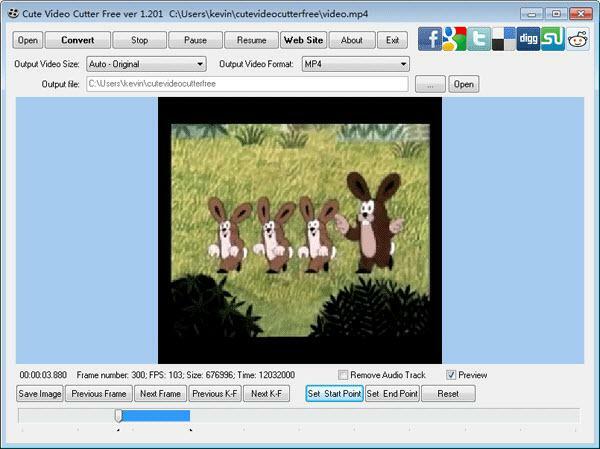 Cute Video Cutter allows the user trim large video files; it takes multiple video formats as input and provides good quality output file as expected. It works well with MP4, AVI, 3GP, WMV and many more video file formats. By selecting the starting and ending point from the video, the user can easily trim the required clip in an efficient manner. Freemake video converter is a handy portable tool used to convert, cut, trim, merge and fix MP4 video files. It can normally handle numbers of files encoded using different file formats. It can trim one file of any format and then convert it to another video format. This video converter is a multi-functional tool that enables the user to trim and join the videos using the multiple file formats. Trimming is the function can be performed while re-encoding the file. As a professional and powerful video editing tool, Wondershare Filmora has one of the most efficient video trimming tools that enables the user to trim the videos in a convenient way. It supports various video formats including MO4, MOV, FLV, AVI, WMV and more. Trimming video in Filmora is easy. Just place your mouse at the beginning/end of the video until appears, and then drag it to left/right to trim. With Filmora, you can also split, cut, or delete the unwanted part of the video clip. Looked into the Cute Video Recorder but when you install they add in a download of RelevantKnowledge which will monitor, and collect information on your online browsing and purchasing, internet usage, demographic information, certain hardware, software, computer configuration and application usage, your name as well as address. This way more intrusive than I feel comfortable with so I won't be using the software. Even when you hit decline it continues to install but I have no confidence that the RelevantKnowledge package hasn't been installed with the recorder software. I feel this would have been helpful to include in the list of cons. Mighty white of you to point that out. If you read the title, it said Free Mp4 Trimmers. I wish they would say if the above programs are free, shareware or otherwise.